You’re Invited to an Exclusive SandStar Interiors Seminar! 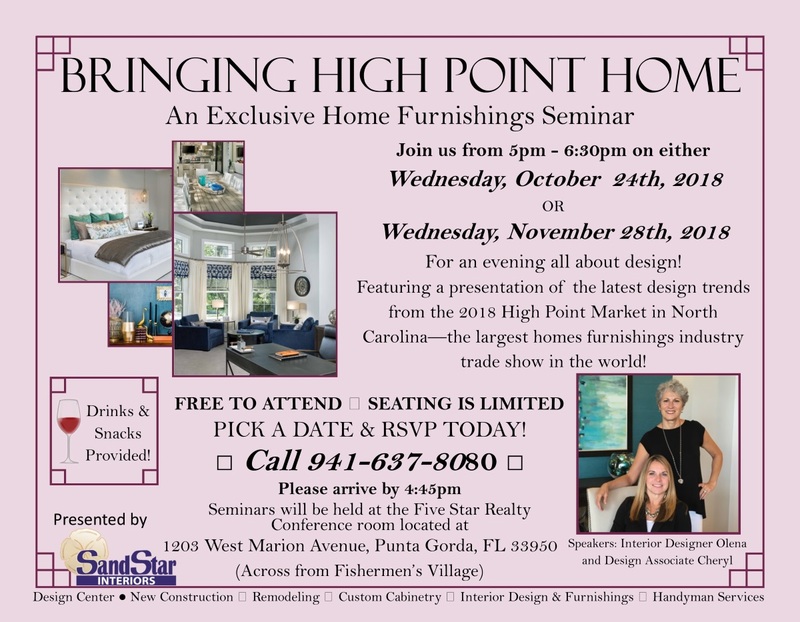 You’re invited to an exclusive home furnishings presentation presented by SandStar Interiors! **Please be aware seating is limited, so please call to reserve your seat as soon as possible if you would like to attend one of the seminar sessions. **Please arrive by 4:45 PM. Meeting will be held at the Five Star Realty conference room located at the main office at 1203 West Marion Avenue, Punta Gorda (across from Fishermen’s Village). Each seminar will last approximately an hour and a half.